Top 7 ways to boost your focus and productivity for success in the workplace. How many times do you check your personal phone, email, or Facebook at work? Researchers estimate that 64% of workers visit websites unrelated to work. Tumblr, Facebook, Instagram, and SnapChat are included among these time wasting habits. The Internet is full of distractions. There’s little wonder why most people working at a computer struggle with productivity. It’s even harder if you’re dissatisfied with your job or are disinterested in a current project. Staying on top of it all day might seem impossible some days, but you don’t have to procrastinate your success any longer. Snap out of your slump with these tricks to keep yourself productive all day long. Prioritizing to increase productivity may seem like an obvious step, but it’s critical to work efficacy. Your daily tasks have different levels of importance and require different amounts of time. You need to know how critical one task is over another to get the most out of your day. 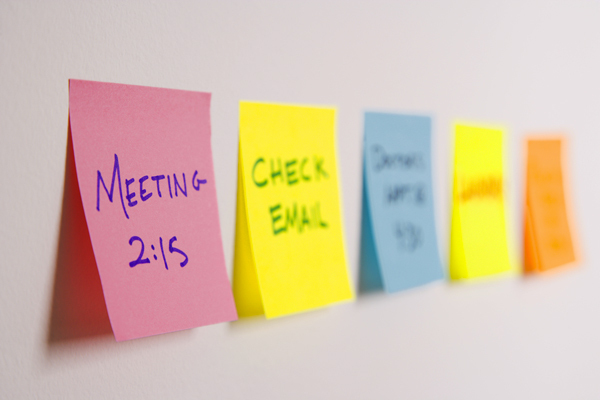 Once you figure out which task is the highest priority, schedule it for when you work best. Studies suggest getting important work done in the morning, 2 hours after you wake up. Instead of getting coffee or checking emails, use that time to finish a major project. Avoid rush hour by working from home in the morning and going into the office later. Make a list each night on what you want to accomplish the following morning. Don’t know how to make a to-do list? There’s a guide to get it right. The better you plan, the better you’ll execute. Not only do you need to prioritize, but you must set deadlines for yourself. Deadlines keep you productive because you need to work efficiently and effectively to meet them. They also let you track your progress, which is great reinforcement. Just be sure to give yourself an appropriate amount of time to accomplish the task. At the end of each day, review your day and write down your thoughts. Take time to analyze what you did well and what you can improve on. The most successful people take time to reflect on how they’ve worked towards their goals. By reflecting, you’re able to better define your goals and motivate yourself to do more to accomplish them. It also allows you to replicate successful behaviors and break bad habits. Research says the average worker wastes about 1 week a year looking for misplaced things. Shocking, right? Clutter in the workplace squashes productivity. Not only does clutter waste your time, but each item in your workspace is also competing for your attention. Cognitive research shows that the visual information, like a dirty mug on your desk, stimulates neurons for representation in your brain. Due to selective attention, only some of the information will be displayed in our conscious perception. Although we may be unaware of all of this occurring, the process is taxing and distracting. Don’t overwork your brain with unnecessary clutter in your workspace. Keep your workspace organized and tidy so you don’t waste time searching or exhaust your brain. “Research shows there is a direct correlation between productivity and clutter. Productivity and profits decline when clutter and chaos rise”—Pat Heydlauff, President of Energy Design. Multi-tasking is something we do everyday. Checking your phone while you walk to lunch is multi-tasking. We value this skill because it let’s us do so much. However, truth be told, multi-tasking one of the biggest blunders to your productivity. It’s hard for your brain to continuously switch tasks. It’s estimated to increase the time it tasks to finish a task by 25%. Instead, try single-tasking. Just focus on one thing at time until it’s finished or reached a major checkpoint. Then, move on to the next task. It’s simple: the less you multi-task, the more productive you are. Working on multiple things at once is only going to slow you down as you jump from task to task. The Muse tracked habits of employees and found that the most productive people work for 52 minutes at a time and then break for 17 minutes. Your mind wasn’t made to work continuously for 4-8 hours straight. You need to break that up into segments to get the most out of your day. Use 52-minute segments to power through your work like a burst of cardio. Then use the 17 minutes to recharge, relax, and reflect. Added productivity bonus if you use your break for meditation. Meditation is shown to improve focus, memory, and stress relief. If you want to be productive, you need to stay focused. Nootropics are designed to give you more energy, focus, and boost cognitive performance. 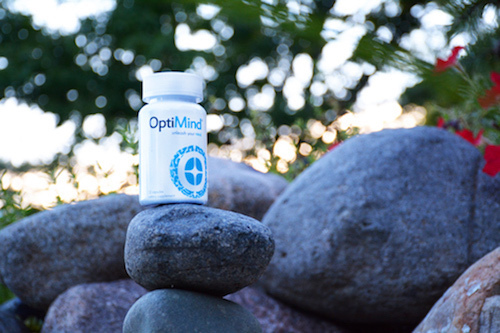 If you’re in a cram, want to get ahead, or need some extra help staying on top of it, the nootropics with the best ingredients can help you get there.Try OptiMind for FREE with our trial. Even if it’s a relatively small accomplishment, take a moment to recognize the work you’ve done and feel good about it! Rewarding yourself for your accomplishments is going to motivate you to work harder and be more productive in the future. Rewarding yourself is positive reinforcement so that you stay driven to keep succeeding. Next time you finish everything on your to-do list, treat yourself to something special, whether it be a dinner, massage, or movie. When you’re looking to increase productivity in the workplace, try these successful productivity hacks. You’ll get more out of your day and achieve more from yourself. Cheers to productivity! †These are real reviews from real people. These are not our claims, this is what real people think about OptiMind.